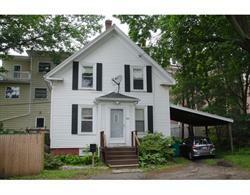 Don't miss your opportunity at owning this beautiful three story townhouse located in a great spot in Salem. Close to various amenities yet still offers privacy and a quiet setting. The first floor is spacious and bright with a fireplaced living room and sliding doors to a deck great for entertaining. The finished basement offers space for an office or the option of a third bedroom. The second floor displays a jacuzzi bath, cathedral ceilings and both bedrooms have sliding doors to a secluded balcony. All this and an attached garage! Call Toner Real Estate today to schedule a showing! Welcome to 9 Daytona Road! Don't miss the opportunity to own this 5 room, 2 bedroom ranch located on a dead end street in Ward One! The open floor plan provides a spacious kitchen with breakfast bar and living room with hardwood floors in addition to a heated sun porch. The location allows easy access to major highways and is just a mile from Lynnwoods Reservation and Gannon Golf Course. Welcome to the Diamond District! 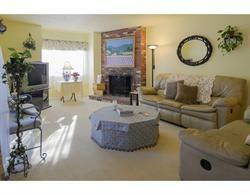 This beautiful condo in an amazing location has so much to offer! Get ready to be just a short walk from the beach! The two bedroom, one full bath property has hardwood floors throughout and has been remodeled giving it a very modern look. There's plenty of off street parking and a private side yard for entertaining. The condo also offers newer windows and new high efficiency gas boiler. Do not miss this great opportunity! ing newer deck and heating system. Don't miss your chance to own this gorgeous home! 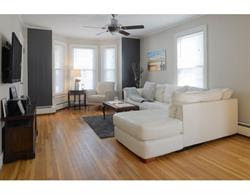 Located right near the beach is our new listing located on West Baltimore St. in Lynn. 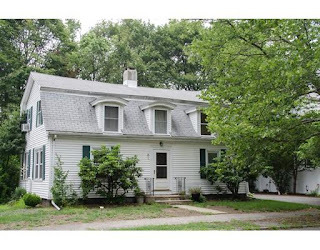 This 3 bedroom colonial is peaceful and located in the desirable Diamond District. It offers an eat-in kitchen, off street parking, privacy and is close to various amenities. Don't wait and call today to make an appointment to see this great house! 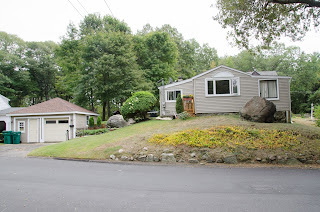 On the market now is a great piece of land for sale located on Summer St in West Lynn. The lot consists of 21,377 sq. ft. It is four individual lots all with separate tax bills but is being sold as a package. It has been previously approved for development. Call Toner Real Estate today for more information! Located on 81-83 Walnut St in Lynn is this rare opportunity to own a fully rented multi-family home. This property offers 18 rooms, 8 bedrooms, 4 baths and a two car garage. It is completely deleaded and has separate utilities. Call today for more information or to schedule a showing! Toner Real Estate is a full service real estate company located in Lynn, MA, gateway to the beautiful and historic North Shore. Our expertise and local knowledge are keys in helping clients buy and sell residential, commercial, and investment properties. Our personal approach and attention to detail simplifies the home buying and selling process and is of great value to our clients. They know they are in capable and trustworthy hands.